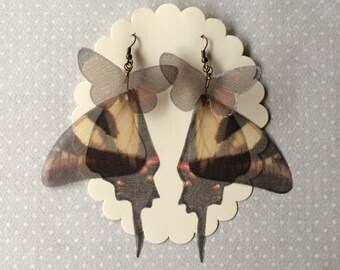 Completely hand-made earrings, with silk organza butterfly moth. 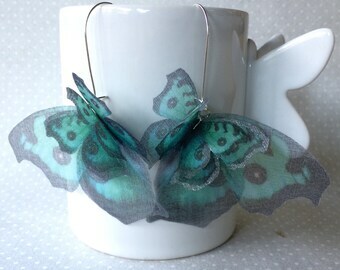 Please pay attention when you wear these earrings. 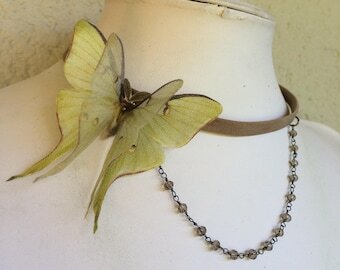 They're delicate. 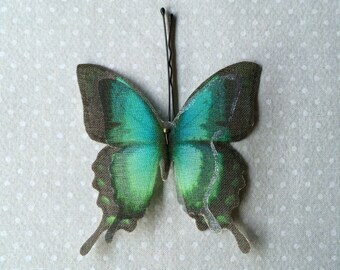 Don’t stretch, don't wash and don’t spray perfume over butterflies and wings. 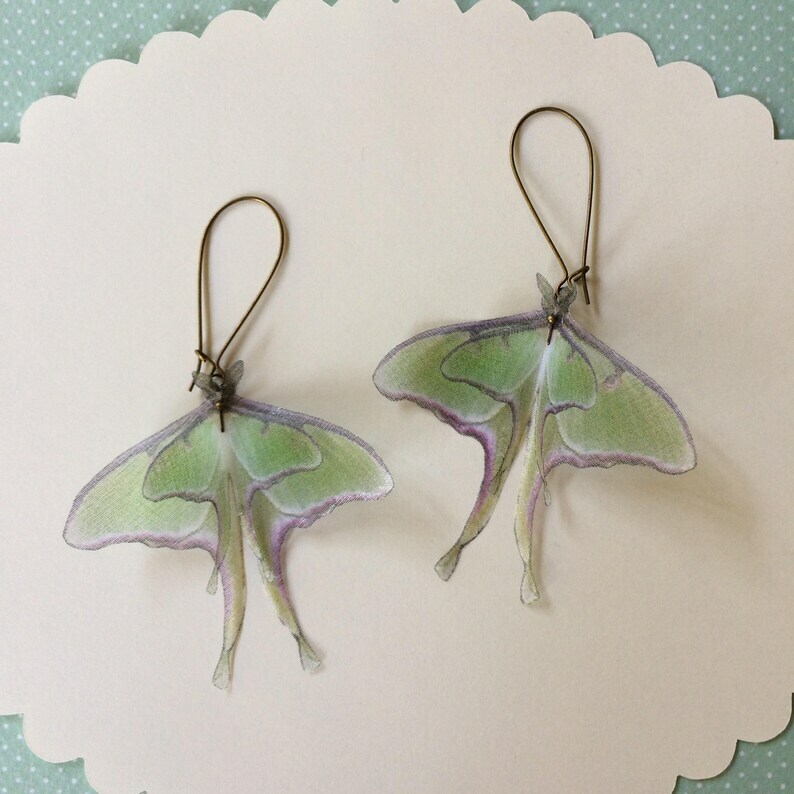 These luna moth earrings are absolutely stunning. 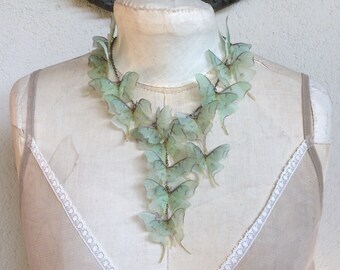 The artistry and workmanship is outstanding and the earrings are so delicate and realistic looking. 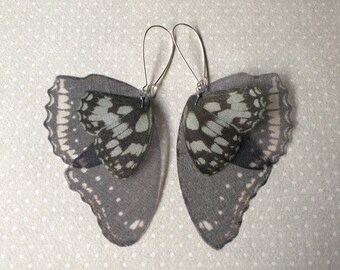 These earrings are so unique and eye-catching. They are truly works of art!